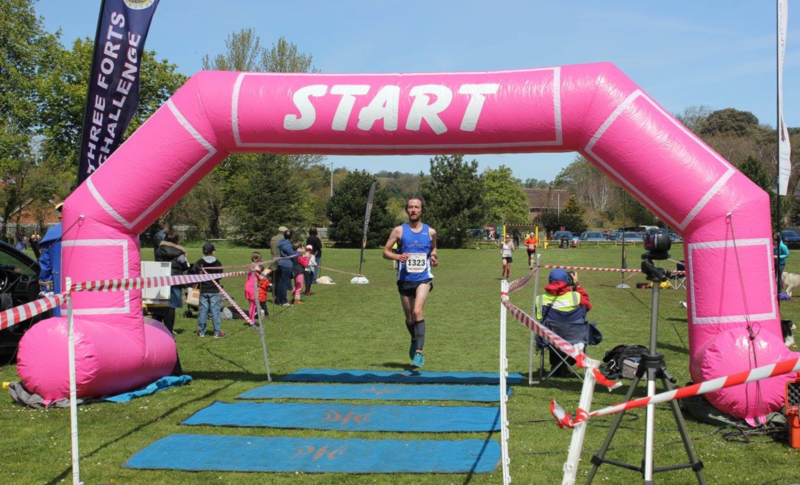 COMPETITION – WIN GOCOCO COMPRESSION SOCKS! In my quest to find the perfect socks for running I came across a Swedish brand called Gococo. In particular, I was looking for a compression sock that was quick drying, warm and aided recovery helping me to run long and run often. After reading the adventures of Rosemary on the awesome blog PlanetByde, I followed a link to the Swedish sock Company, Gococo. 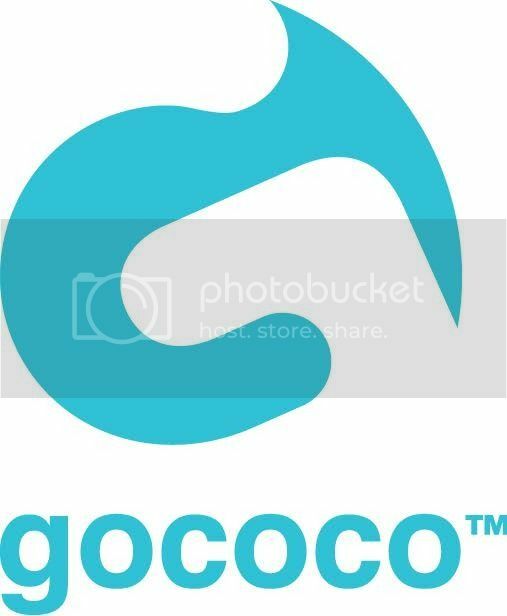 I wrote about them here after I’d spent some time trying different brands out – Gococo came top of the tree. 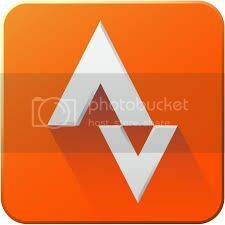 So here I am, about to start training proper for Breca Swimrun and I am proud to say I am now a UK Ambassador for Gococo Socks. What does this mean? Well, it means I’ll be out and about in great socks ALL the time! 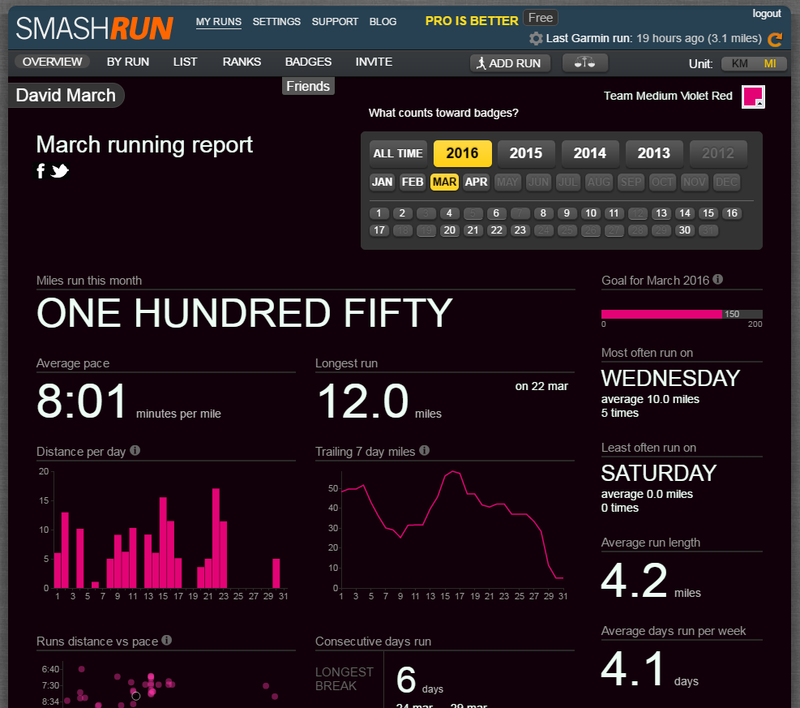 To celebrate this I’ve been given the green light to run a competition to WIN a pair of the Superior Compression Socks (worth €42) In fact – I’ve got TWO pairs to give away! All you need to do is Follow Me and Retweet the competition tweet on Twitter. Not got Twitter? Drop a reply below and I’ll put you in the draw. I’ll pull 2 names out of the hat after 9pm on Sunday 14th February and contact the winners shortly after. In the meantime, have a look over on www.gococo.se and dazzle your eyes with colourful socks! Gococos Compression Superior is the ultimate sock for you who want powerful support over the calf when you want to perform at your best! Superior Compression is a graduated compression sock that stabilizes the calf muscle and increases circulation in the calf when you are active. Gococos compression socks are reinforced to protect your feet during activity, such as running. The 37.5 Technology material in the sole is extremely quick drying, which reduces the risk of chafing and blisters. You’ll need to Follow me @davewilsonmarch and RT the competition tweet to be eligible to win. Only one entry per person will be counted, but feel free to keep sharing! Winners will be contacted for size, colour and postal address which will be forwarded to Gococo for prizes to be sent out. Entries close at 9pm 14/2/16 – after which I’ll collate all the names and pick 2 out at random. Gococo may or may not have all the sizes/colours in stock so please be prepared to have a 2nd choice on standby! At the moment, I’ve got 7 pairs of running trainers. Yep…..7. 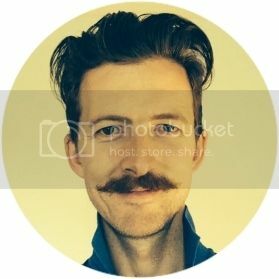 They’ve all got different profiles, some of them I like more than others and some of them serve completely different purposes. The only thing they have in common is that none of them give me any injury worries. With this knowledge, I came to the conclusion that my legs and feet are pretty robust and so when I was offered the chance to try out these SOLE Footbeds, I said yes. 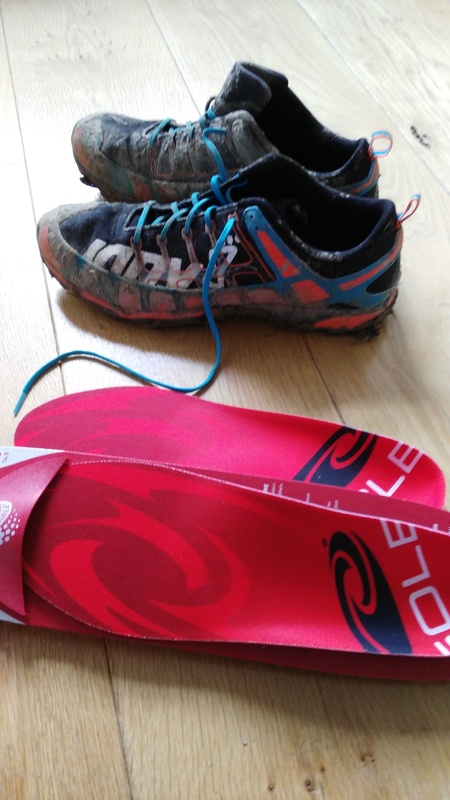 I did have concerns at first that I was tempting fate by changing something in my shoes, but the fact that I seem fairly comfortable moving between different stack heights/heel-toe drops/different levels of support etc was enough to satisfy me that a moulded insole would be fine. SOLE produce orthotic inserts, sandals & socks all designed to improve weight distribution across the foot by providing support where its needed. I understand that some running shops (Sweatshop for one) offer a service in-store where they do a 3D scan of your foot and heat-mould insoles for you if you want them. However, as they are a retail store, like any other, I’d always bear in mind that they are probably set targets on how many of these they need to sell every day and that you, the lucky customer, may not actually need them. 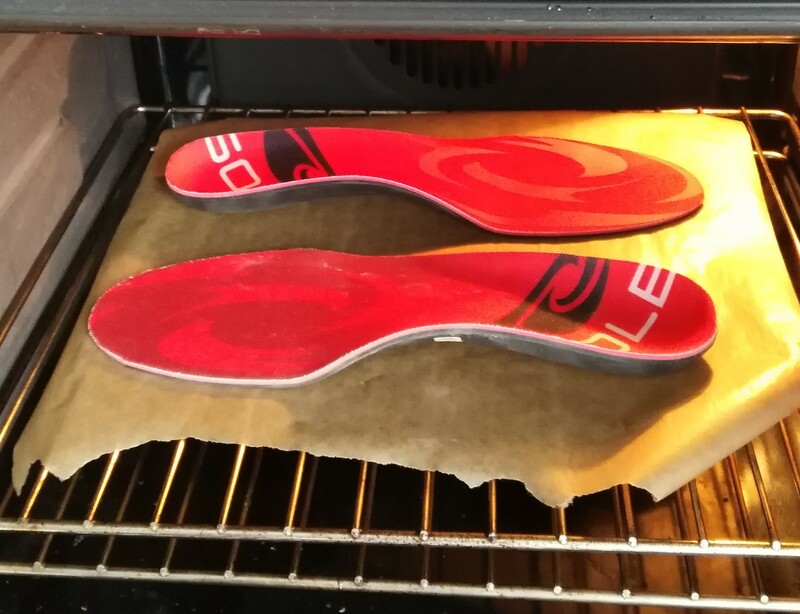 Its also useful to know that you can simply buy the insoles yourself and mould them to fit using your oven at home. So….lets say you’ve been to your running store, and you know you need some support in your shoe. And for whatever reason, there’s not a shoe that will provide it on its own, so you have a pair of insoles to help provide the support you need. 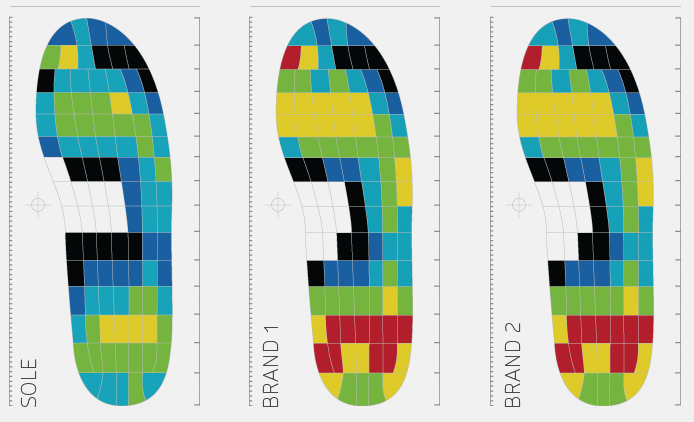 Insoles can open up a whole range of neutral shoes to you which may provide better fit overall depending on the brand/style. 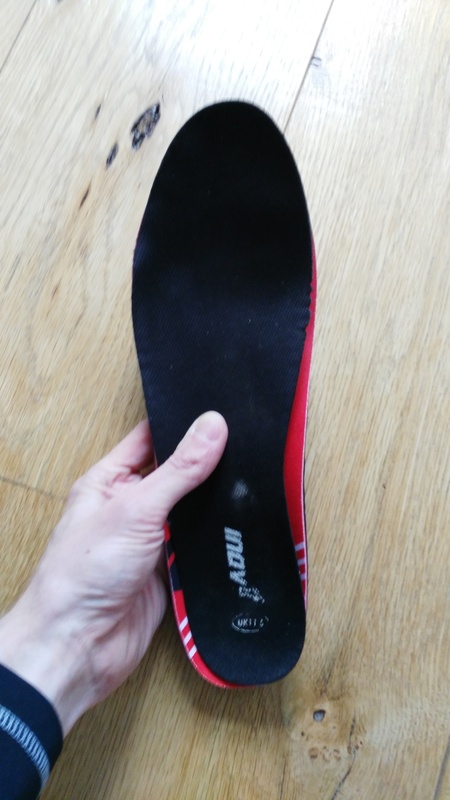 Insoles could also supply the support in lightweight racing shoes, I can see why there’s a market for these things. But what happens when you’re buying your shoes online? 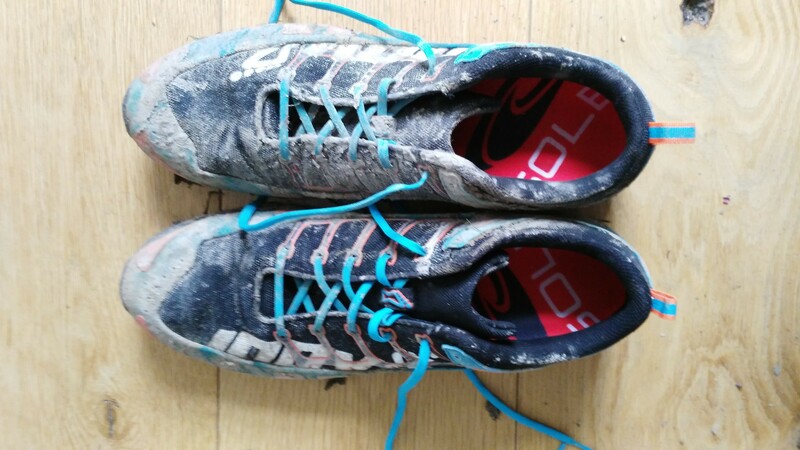 It can be a bit of a minefield… neutral/cushioned/support/control/racing blah blah blah. If you know your feet require a certain type of support then insoles could well be the way forward for you, giving you a bit more freedom to choose the shoe you like, rather than the shoe they say you need. Safe in the knowledge that when your shoes arrive, you can slip your insoles in and your arches will instantly love them. First things first – I need to mould them to my foot shape. I’m going for the heat method because I like warm feet. Step 1: Remove the standard insoles from the shoes and cut the SOLE ones to match so they’ll fit inside your shoe. Pretty easy so far. Step 2: Place SOLE footbeds in the oven at 200 degrees for 3 mins. Step 3: Insert into each shoe taking care that they don’t scrunch up. Step 4: put feet in shoes and stand in them allowing the footbeds to mould around the foot where it needs support. This takes about 3 minutes and don’t worry, they don’t burn your feet! And thats it. Ready to go. Which is exactly what I did next, I took them out for a 14 mile spin on the south downs. The route was made up of thick mud, puddles, hard packed limestone, tarmac, gravel and grass. 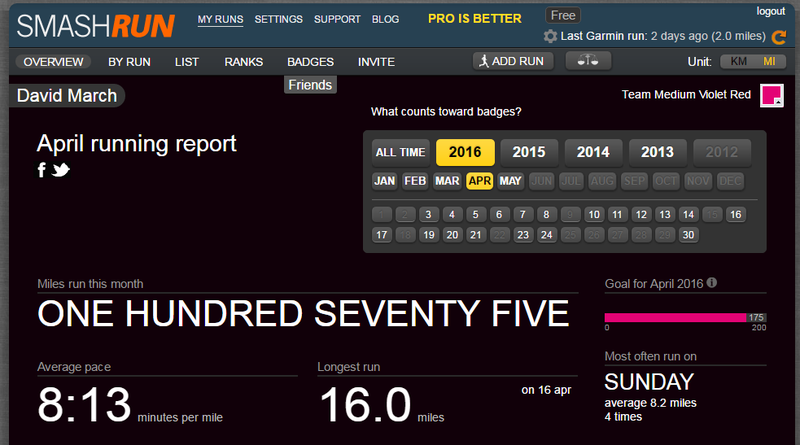 A thoroughly enjoyable run on almost every terrain possible. And how do I rate them? Well, I’ll be honest, I didn’t even know they were there. My shoes felt snug around the ankle and midfoot but with enough space for my toes to move around still. I can only see this as a good sign. I don’t think they altered my foot position at all, I certainly didn’t have any trouble during the run, and no aches, pains or tenderness afterwards. I’ll be keeping these in my shoes as that little extra arch support could be beneficial during a longer run, and they did indeed help with the feeling of the lugs coming through the underside of the shoe. I think the fact that these are heat moulded to your feet whilst you stand in the shoes you’ll be wearing them in, means that its hard to go wrong, they’ll only provide as much support as your foot requires. I don’t know how long these things last, I imagine they have a limited lifespan though, just like the cushioning inside your shoes so you’d probably need to replace them each time you change your trainers. All of the above is my opinion. Take it with a pinch of salt. I’m the sort of person that finds reading peoples experiences and opinions helpful, even persuasive when it comes to making purchases and I hope that one way or another, these words might help you if you’re weighing it up. “Through an ongoing partnership with Dr. Reed Ferber and the Running Injury Clinic, we’ve been able to help fund studies of the effectiveness of insoles on injury prevention and performance. Update: I’ve worn these on several runs now and I’m still comfortable & injury free. Thumbs Up!